I thought I would take a break from posting on Italy to my recent trip over in New South Wales (NSW), Australia. Another reason is because I have not yet figured out on how to access my files including all the photos in my old iMac. My old iMac refuses to read any USBs or hard drives or even memory cards. I have no idea why and have tried all suggestions I can find on Apple support. For now, I am slowly transferring my files over on Dropbox and as you can imagine, it is gonna take a while with its uploading speed and limit. The post on the rest of Italy will be up soon I promise 🙂 If you have any advice on the iMac issues, please leave a comment – much appreciated! I had a very fruitful trip even though it was so short. We went to many places including Port Stephens, Newcastle, Cockatoo island for the 19th Biennale of Sydney festival and of course Sydney city itself. Words could not express how thankful I am for this trip – it was very much needed. 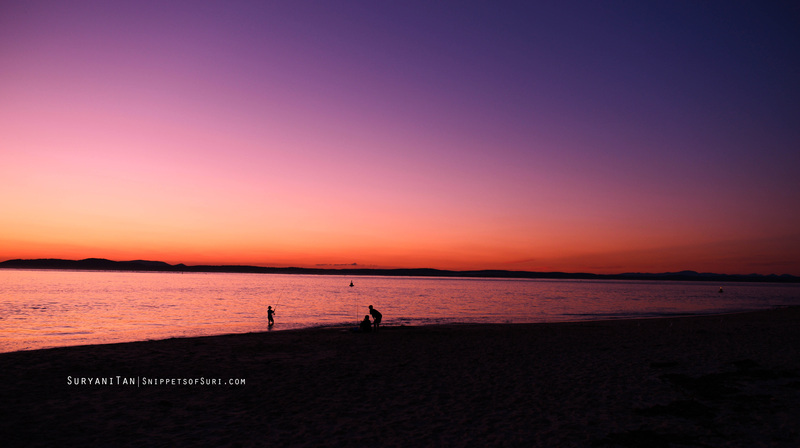 This post is on Port Stephens – our first stop! Port Stephens is called the ‘blue water paradise’ because of the beauty of its marine surroundings. It is famous for its over 19 miles of clean, white, sandy beaches. It is about 2.5 hours drive north of Sydney. However, it took us about 3 hours to get there due to heavy traffic in the morning of Good Friday – I think everyone was going to Port Stephens that morning! 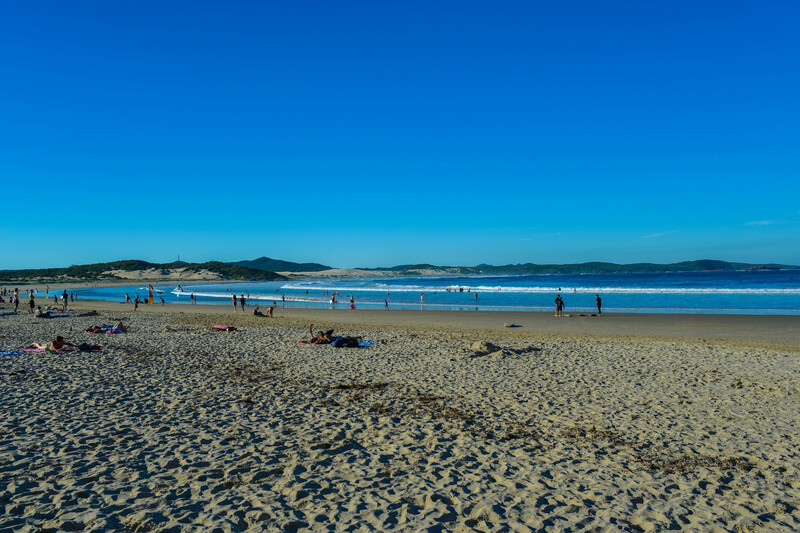 If you love surfing, fishing, boating or just being in a beach, you should visit Port Stephens! For more information on Port Stephens, Click Here and Here. We stayed overnight in Port Stephens at The Beaches Serviced Apartments and Accommodation – Nelson Bay. It was a very nice and cozy apartment with many things provided such as cutleries, iron & ironing board, towels. There is DVDs and board games collections that could be borrowed free of charge too. It was also the only one that accepts one night booking during the Easter period – the others require at least 2/3 nights stay. The five of us were well-rested and ready for another excursion the next day. Consider staying there if you are visiting Port Stephens! We arrived at the d’Albora Marinas in Nelson Bay for lunch before settling in at our accommodation. d’Albora Marinas is like a little town centre – filled with restaurants and shops. It was very crowded most likely because of the Easter long weekend. Then we headed to Nelson Bay lighthouse, One Mile beach, Fingal Bay and finally to Nelson Bay chasing the sunset! 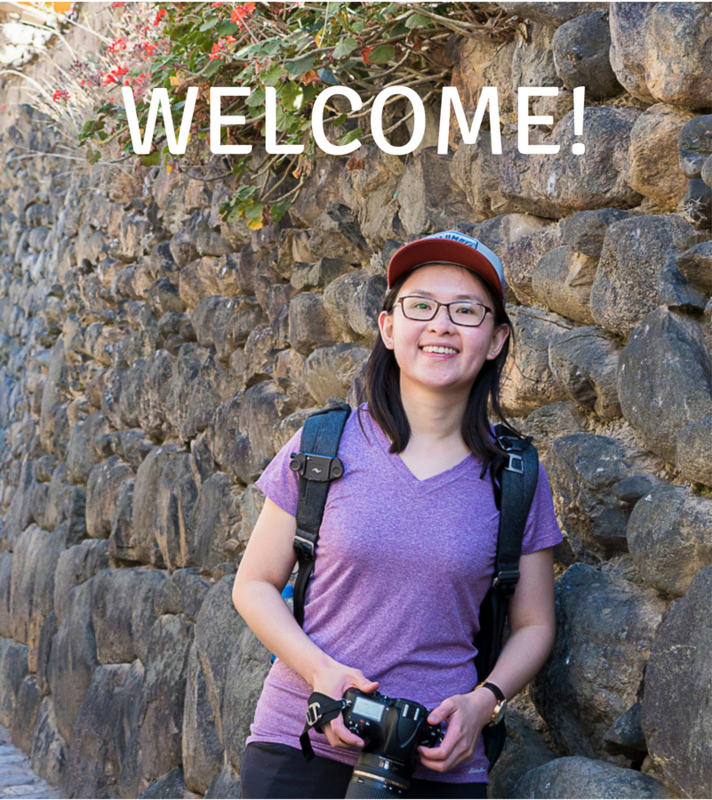 Here are the photos of the places we visited, each with its own description and location. All photographs, except the three in d’Albora Marinas, were taken using Nikon D800 with Nikkor 28mm f1.8G lens. The other three photos in d’Albora Marinas were taken using Fujifilm X100S (my new toy!). Family seafood platter and grilled seafood platter for lunch! One Mile beach, the blue waters! Sunset at Lighthouse Road, Nelson Bay. It was just simply magnificent and beautiful. Photo could not do justice. Sunset at Lighthouse Road, Nelson Bay. This is one of the highlights of the trip. The highlight was definitely ‘chasing’ the sunset. While we were driving to Nelson Bay, we could see the sun going down. What a sight! It was bright orange and just right in front of us, simply magnificent and beautiful, something that we will never forget. We were a bit late when we got there, only a little peep before the sun went down. The photo was taken after the sun has set. We stayed there for a while and just enjoyed the view – the colours it made on the sky. I was simply in awe of God’s creations. Unfortunately I am not Apple user, so I can not give you any advise 🙁 . Hope you will get all your files and photos back – trust there must be more beautiful photos there to retrieve..good luck!! Thanks for your kind comments! Thanks also for wanting to help, much appreciated! Yes, I am sure eventually I will export all the files into dropbox! 🙂 Thank you! Thanks so much for your kind comment alifemoment!